With Sync you can store encrypted documents and protect them with a password so that not even the provider is able to access their contents. Files are encrypted on your computer and can only be unencrypted with your password. You get 5 GB of storage for free. 1. 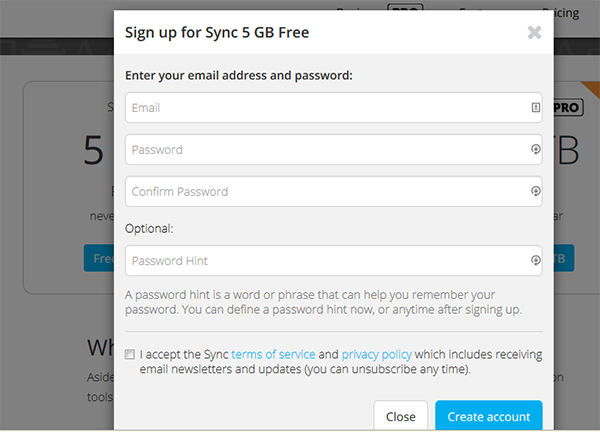 First, create an account by clicking “Free signup” at https://www.sync.com/pricing. Type your e-mail address and choose a password. Store this password securely as you won’t be able to retrieve or recreate it if you lose it, and will only be able to rely on the password hint. This is to ensure that only you and no one else can access your documents in an unencrypted, readable form. 2. On the next screen choose “Install Sync on your computer or laptop” then “Download”. 3. Open the file to start the installation. 4. 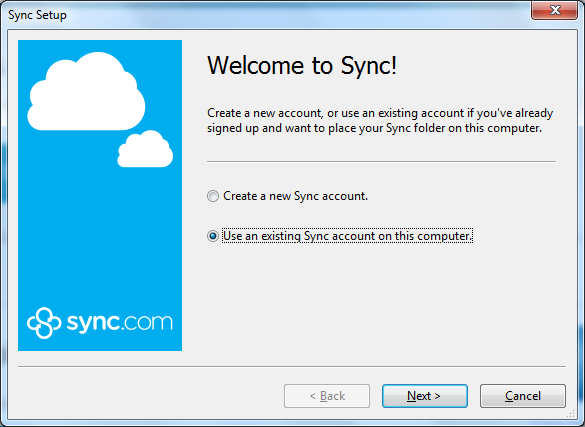 Since you have already created an account on the Sync website, choose “Use an existing Sync account on this computer” when prompted, and give your account details. 5. Choose a folder for the files you want to store securely: Sync will automatically upload the files saved in this folder to the cloud. You can access this folder the same as any other on your computer. You can also open it directly by clicking on the Sync icon in the tray and choosing “Open Sync folder”. You will be able to reach these files from any other device where Sync has been installed. 6. 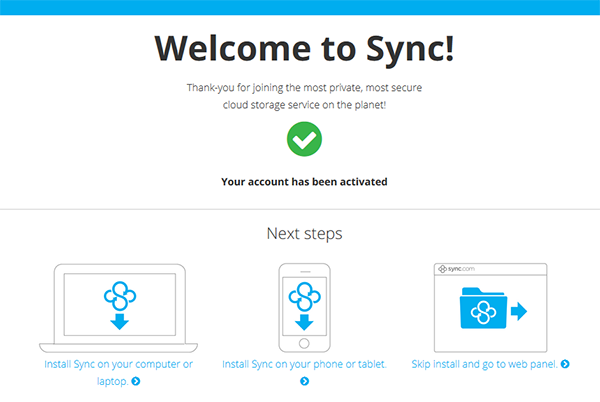 You can reach your online account by signing in at sync.com or by clicking the Sync icon on the tray and choosing “Go to Sync.com Web Panel”. To access your files saved in the Sync folder go to “Files” on the web panel. These files are saved on your devices as well as in the cloud. Files uploaded to the “Vault” will only be stored in the cloud.